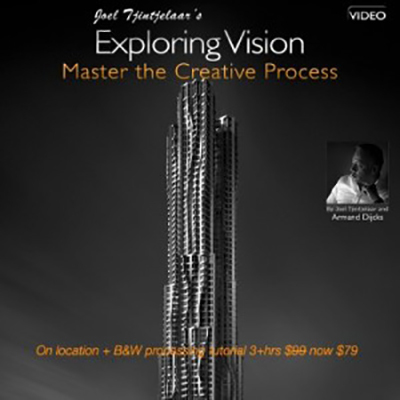 *Note: special discount available when buying this video together with the Fine Art Color Workflow Video. Read more here. A video produced in collaboration with cinematographer Armand Dijcks and released in 2014. This tutorial goes beyond covering technique. It teaches you how to think about your photography in a different way, while providing many practical tips and insights on how to develop a vision for your images and how to translate that vision into the final product. This way of working will help you create consistently great images. The video will take you through the creative process from shooting the image to the post processing in Photoshop. It’s not just about technical skills in Photoshop. This video tutorial teaches you how to think about your photography in a different way. How to develop a vision for your photography? And how to translate that vision into an end result?